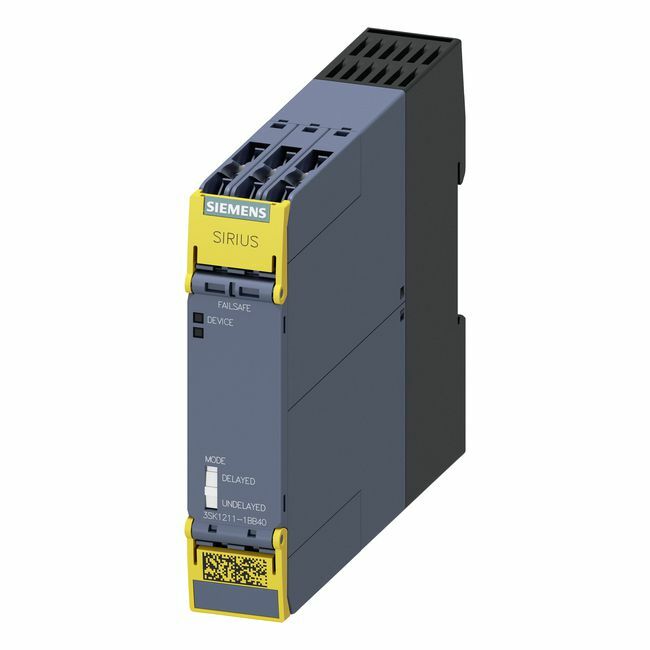 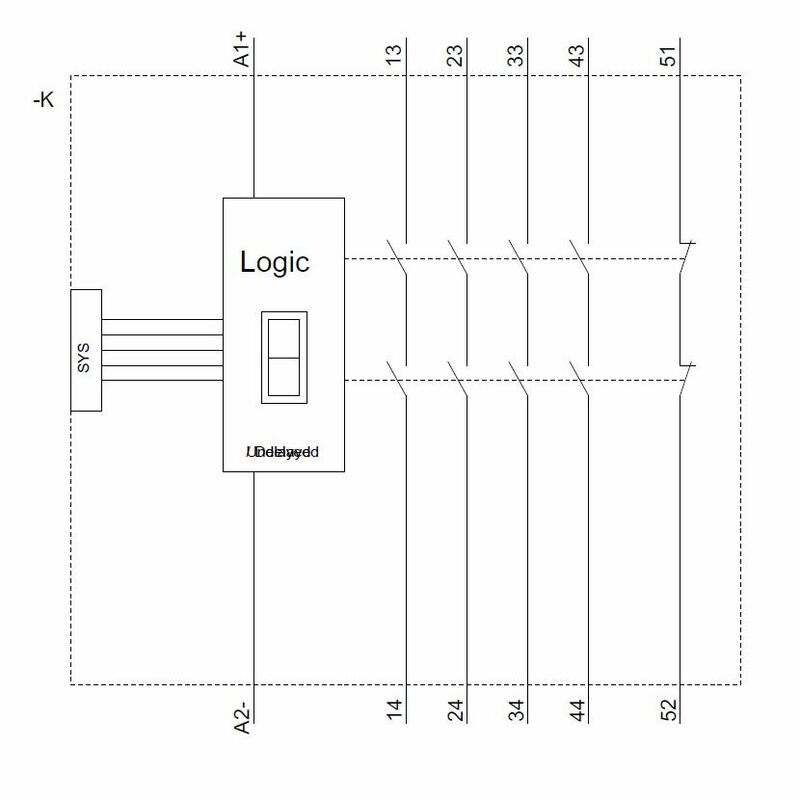 Siemens (3SK1211-1BB40) Output Expansion for Safety Relay Basic Advanced (SCREW TYPE) | DamenCNC B.V.
Output expansion for Siemens (3SK1121-1AB40) Safety Relay Basic Advanced. 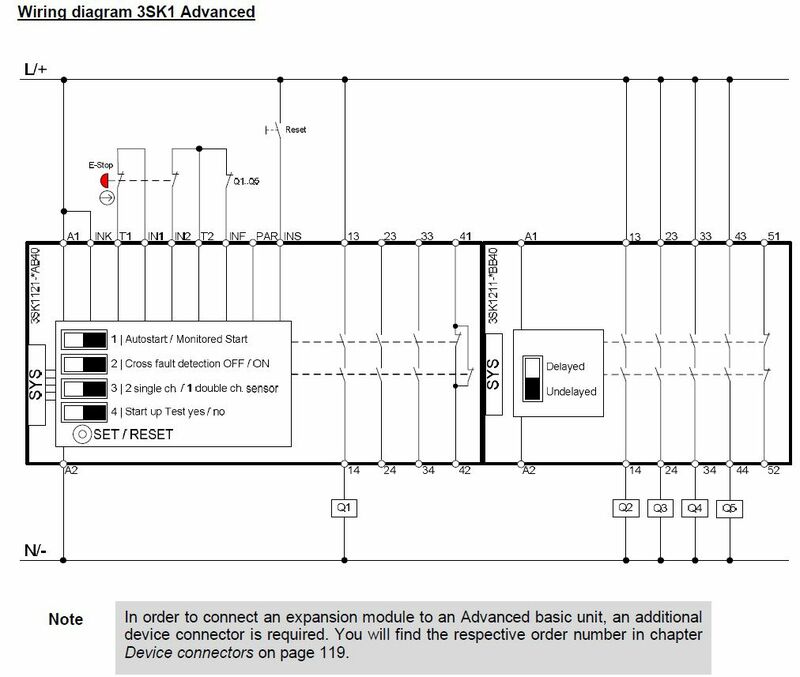 Using this output expansion module, it is possible to add additional outputs to the safety relays. 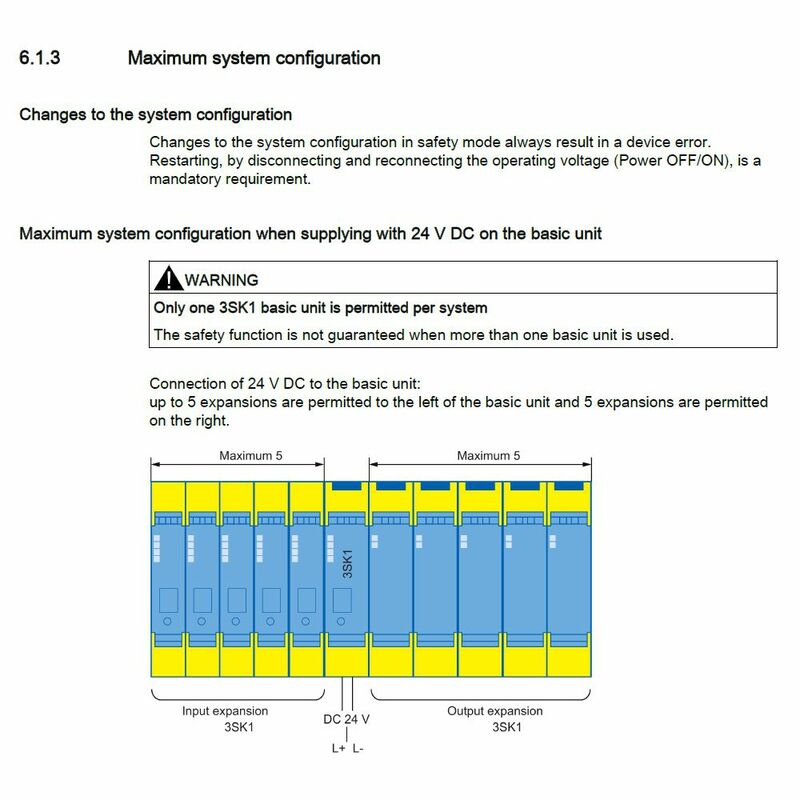 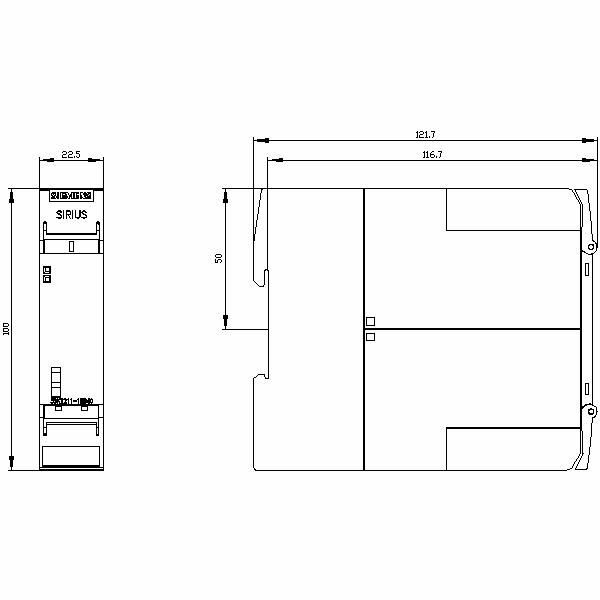 Keep in mind that also device connector 3ZY1212-2BA00 or 3ZY1212-2DA00 is required. 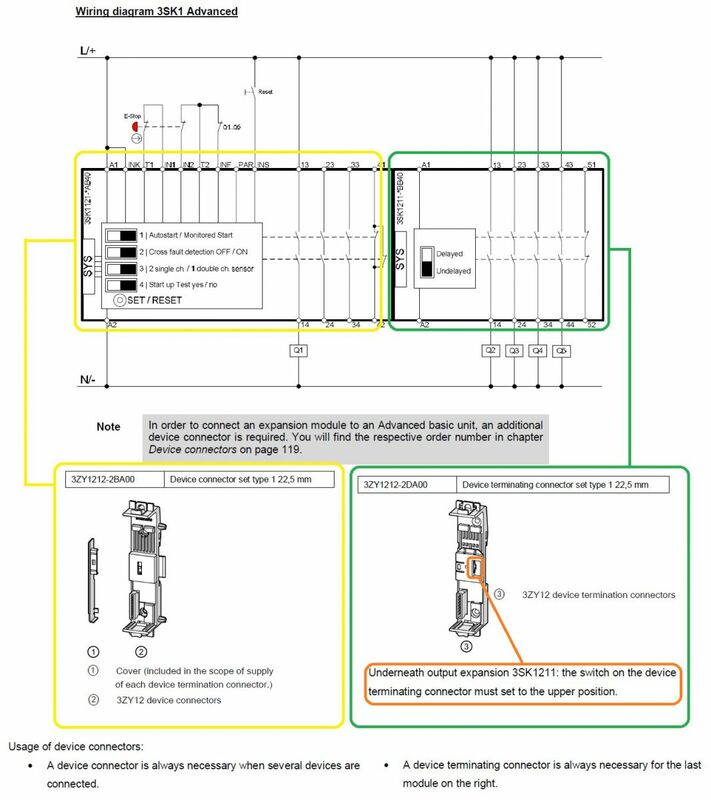 NOTE: When using the 3ZY connector you can switch between instananeous or delayed control of the basic unit using the slide switch of the output expansion, but when using conventional wiring the slide switch has no function.